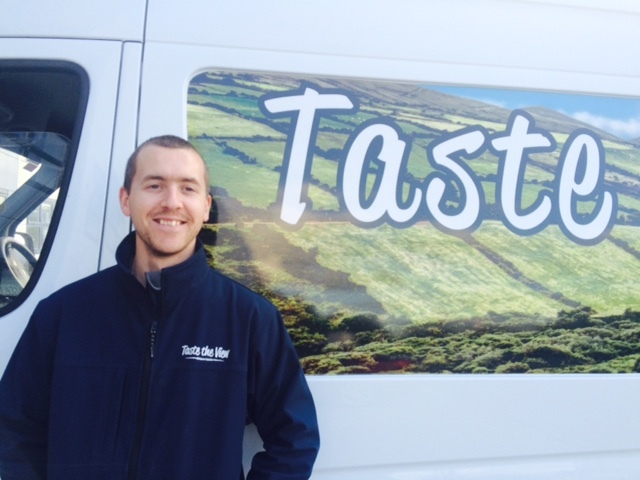 Taste the View is a sales and distribution company focusing on Irish Artisan food & drinks. We source quality products from producers all over Ireland and supply speciality food shops, food halls, delis and coffee shops nationwide. We have recently starting exporting to the UK, Spain and Singapore. We believe there is a tremendous opportunity for quality Irish foods as consumers place an ever greater emphasis on the quality and provenance of the foods they consume. Taste the View was established by Ian Magowan and Stanley Lew in April 2011 and is based in Greenogue Business Park in Dublin in a modern spec warehouse. Ian’s background is Agribusiness, pig genetics and nutrition - don’t get him started on the pigs!! He has spent 16 years in the food business firstly with Kerry Group followed by the Irish Flapjack & Muffin Co. Ian is passionate about quality Irish food and his vision with Taste the View is to provide an opportunity for food producers to bring their great products to the wider market. Ian is keen sailor, hockey player and hill walker who spends as much of his free time outdoors as possible! Stanley has worked in the food sector for 35 years. Initially he worked for thirteen years with Erin Foods in merchandising and sales followed by seven years at RHM where he set up RHM Foodservice. Then a move to O’Brien Ingredients saw Stanley secure many new agencies and product ranges which helped establish O’Briens as a strong player in food ingredients. Stanley brought the business into Northern Ireland where the company gained good market share and - where he also helped with general peace and harmony!! Stanley spent a brief period with Barista Beverages before setting up Taste the View. As a very good golfer Stan spends his alot of his free time on the golf course and especially loves the competitions. Many prizes seem to follow him home! Our mission at Taste the View is to become the Number One sales and distribution partner for Irish artisan food producers by providing excellent service and developing close working relationships with both suppliers and customers. We are committed to helping small progressive and innovative Irish food producers bring their products to a wider market. As well as the hard work we also plan to have a bit of fun on our journey and look forward to working with like minded “foodies” and of course sampling lots of new products - for us that’s the best bit!! William Coleman joined Taste the View in March 2012 to develop the Van Sales operation. A keen hurler from Gortnahoe in Tipperary William started work in 2004 with McKevitts Costcutter in Thurles and spent 5 years in retail management. In 2008 off he went to travel and work in Australia. After a year down under William returned to Ireland and joined Retail Support Services in a sales role where he was involved in launching, promoting and selling many retail brands. In February 2010 he joined Ina’s Kitchen Deserts where he worked in Van Sales and business development. With a strong work ethic and commitment to customer service William has developed an extensive customer base nationwide. William plays hurling and football and is very involved in his home club in Tipperary, the famous Belgooly Gortnahoe GAA club. Mark Kennedy joined Taste the View in May 2015. Mark has worked with many food operations and farms around the world while on his travels and more recently with an Organic Food distribution company here in Ireland. Mark is very passionate and knowledgable about food and it's provenance and his enthusiasm and attention to detail is a valuable addition to the company. 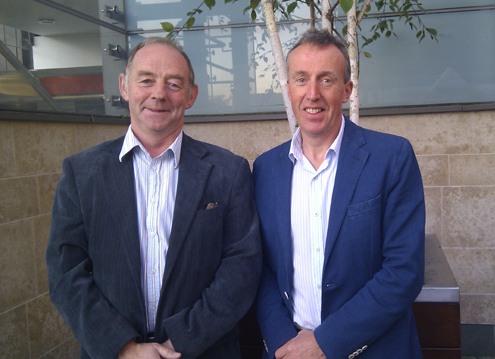 Mark is responsible for our van sales in the greater Dublin area and also has a few country runs. Karol Hajnisz joind us in January 2017 and is our Warehouse Manager. He worked for one of our good customers, Roy Fox in Donnybrook for 6 years. Sadly they closed last December and and we are delighted that Karol joined the TTV team. He is passionate about good food and is a keen tennis player, Wimbledon here we come! Karol is reponsible for ordering from suppliers, processing customer orders, despatching orders and managing our warehouse.